Kinef (RUS) did its job in two days in February, while title-holder Sabadell (ESP) made more than the half of it. Last year’s runner-up UVSE (HUN) and 2015 winner Olympiacos both face a tough return match on Saturday. Their respective rivals, Padova (ITA) and Mataro (ESP) seek their first ever F4 appearances. Both legs of the all-Russian quarter-final were played in two days back in February and Kinef passed the test with ease against Ugra. The team from Kirishi reached the Final Four for the 11th time in 13 years, they are the most frequent participants in the last phase though they didn’t have the luck to clinch the title so far. Their biggest rivals all have one more hurdle to clear before joining the party. For title-holder Sabadell the second leg seems just another cruise as they gained a three-goal advantage in Dunaujvaros. The Hungarians had a great start but the Spaniards produced a brilliant period netting eight goals so they are set for another title-winning campaign. In fact, Sabadell won the trophy for 4 times in the past six years. Two of last year’s F4 participants are facing a much demanding task, especially runner-up UVSE which visits Mataro (ESP). The Hungarians blew a 5-goal advantage away in Budapest and they might go through some scary moments in the home of last year’s LEN Trophy winner. Playing at home, Olympiacos is in a slightly better position, though the Greeks also crashed in the last period in Padova. The Italians came back from 6-10 down to force a 10-10 draw which kept their hopes alive, though the 2015 winners are still the favourites in this encounter. 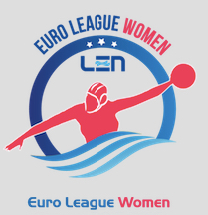 Both for Mataro and Padova a surprise win would mean a first ever appearance in the Euro League Final Four and they are ready to bring some fresh blood to the event – otherwise the same four sides would make up the field as in last year. Anyway, the four losing teams will have a second shot for a trophy as they will play for the LEN Trophy Final Four tournament in April.